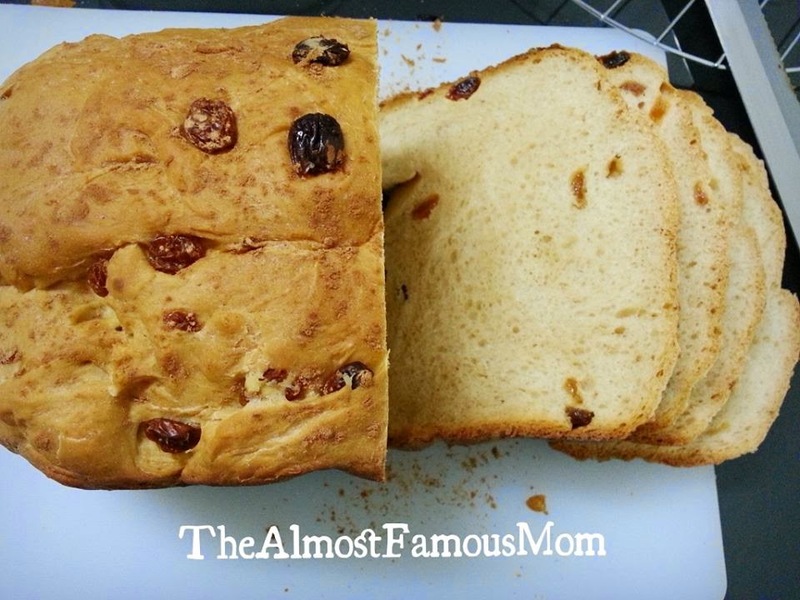 As Christmas is around the corner so I decided to bake a very Christmassy bread - Cinnamon Raisin Bread. 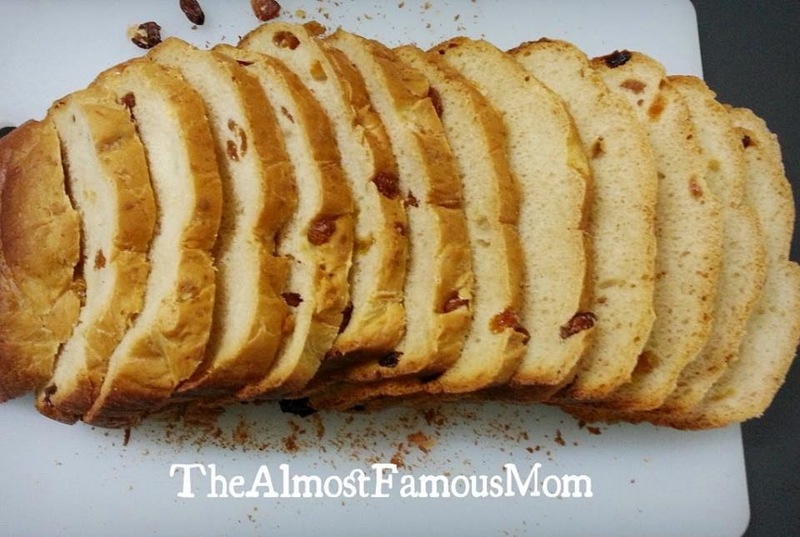 This bread is rich in flavor with a burst of raisins in every bite. What could be better than waking up to the aroma of this warm baked bread!? 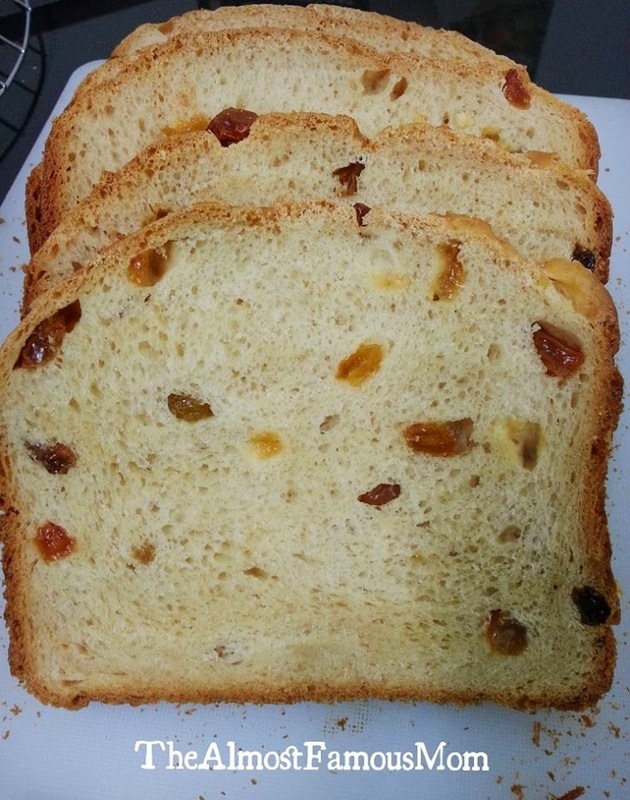 Placing all the ingredients except raisins in bread maker pan in the order recommended by the manufacturer (usually wet ingredients then follow by dry ingredients). Select Sweet cycle, use Light crust with 1.5 lbs bread size. 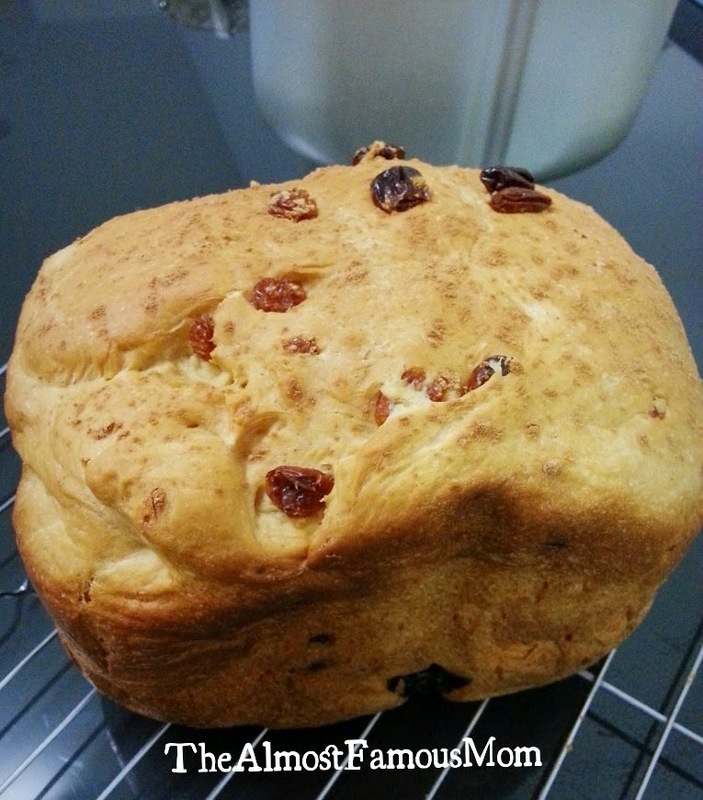 Add raisins when the bread maker beep to indicate that it is time to add the additional ingredient. Remove baked bread from pan and cool on wire rack before slicing.